PA-400N Cylinder Printing machine use for printing the logo of 5 gallons of mineral water bottles, with the perfect design and innovation technology, ensures the good printing quality. 5. Can be operated in manual and semi-auto mode to suit different worker's skill level. 6. Horizontal movement of screen frame can be adjusted to fit your various printing needs. 7. Squeegee/flood bar depth, pressure, speed, leveling, and stroke etc., are all adjustable to fit your various printing needs. 3. Esposal screen plate 1 PCS. 5. 5-10 PCS product samples. 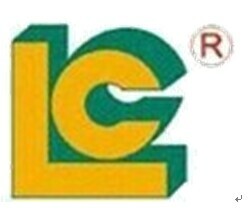 Luen Cheong Printing Equipment Group Ltd. established in 1991,which is professional in develop, manufacture and sales the Screen printer, Pad Printer, Hot Stamping Machine, Heat Transfer Machine, Peripheral Equipment &Accessory. With the long time experience in manufacture special printing equipment, we are focus on making the good quality printing equipment and whole solution service for domestic and aboard. Looking for ideal Cylinder Screen Printing Machine Manufacturer & supplier ? We have a wide selection at great prices to help you get creative. All the Rotary Screen Printer are quality guaranteed. We are China Origin Factory of Screen Printer for Big Bottle. If you have any question, please feel free to contact us.